Charlotte Diane Harrison obituary. Carnes Funeral Home. Charlotte Diane Harrison, an angel on Earth took her rightful place in Heaven on Tuesday, December 4th, 2018. Charlotte was born January 17th, 1970 in Liberty, Texas to Bruce and Joyce McManus. Charlotte met her true love, Christopher Harrison, and was married on June 22nd, 1991. Charlotte and Christopher lived in Texas City, Texas for their 27 years of marriage. Charlotte graduated from Texas City High School in 1988, and then went on to earn her associates degree from Bradford School of Business in 1990. After graduation, Charlotte worked for the Montessori School teaching children. 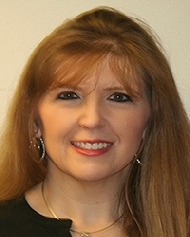 In 1993, she started at Amoco Federal Credit Union where she worked for 25 years. Charlotte made every day seem like the best day ever, she loved life, and talking to friends, and being around people. Helping others came naturally to her. She loved animals, shopping, and Black Friday was a MUST. Charlotte also loved her involvement in the Citizens Police Academy. Charlotte was preceded in death by her father, Nathan Bruce McManus and her brother in law, Terry Howard Millender. Charlotte is survived by her husband, Christopher Harrison; god children, Demetrius Mayes, Jr. and Cameron Mayes; mother, Joyce McManus; sister Grace Elvaker and husband Lanny; brother, Shawn McManus and wife Jenny; brother in law Gilbert Harrison and wife Vicky; sister in law Belinda Millender; nephews Cody, Josh, and Maximus; nieces Sarah, Ami, Talisa, and Heather; great nephews Joshua and Donovan; great nieces Tiffaney and Sierra; and numerous extended family members and friends. A viewing for Charlotte will be held at Carnes Funeral Home, Texas City, Texas on Saturday December 15th from 1-4 pm. Life Celebration Services will be held on Sunday, December 16, 2018 at 10 am at Carnes Funeral Home, followed by a graveside service at Worthy Cemetery in Liberty, Texas. A reception will be held in Texas City following the graveside service, feel free to bring a dish. In lieu of flowers, donations can be made in Charlottes name to MD Anderson for early detection and cure for ovarian cancer.